Our Client is a leading systems & Technology Company. They are listed public Ltd Organization. India has over 100 offices with 2400 Engineers & Geographical presence in 5 different countries. 1. Incumbent should have RFP/RFQ/RFI Knowledge; contribute to RFI and RFP Response. 2. Applicant must be capable to put together winning solutions in response to RFPs, and to work closely with Sales and delivery owners for delivery imperatives and cost inputs and sales / account owners. 4. Candidate must have Minimum 6-10 Years of presales and / or solutioning experience in IT Industry. 5. Applicant must have Good understanding of IT Infra (Server / Storage / Networking) and IT Infrastructure services. 7. Candidate has to Analyze IT Infrastructure product &Services requirements for customers and design appropriate cost-effective solutions. 9. Should have Good attitude towards work and corporate culture, also good organizational and problem solving skills are preferred. 11. Vertical domain understanding from BFSI/Mfg/Telecom/Govt., PSU/Healthcare. Good Knowledge of Infrastructure solutioning, Due-diligence and Assessment Exercises, IT Infrastructure Roadmap creation. Interested applicants located in Mumbai can write or call Sneha at 8310560030. 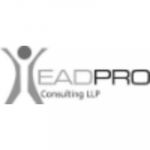 HR at HeadPro Consulting LLP.